It has been a few months since the start of operation Decisive Storm that was launched to bring peace to Yemen and rid it of Houthi rebels who wanted to cause chaos in the country and even threatened Saudi Arabia's security. Following Houthis' misadventure, Yemen slid into anarchy and needed an outside intervention so that the abuse of Yemen and its people could be stopped. A coalition led by Saudi Arabia was formed and a limited war was launched to hit specific targets. 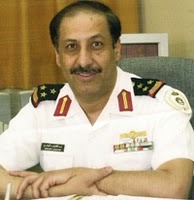 The aim of the operation was to destroy the capability of Houthi rebels to harm Saudi Arabia or block the strategic Bab Al-Mandab Strait which connected the Red Sea to the Gulf of Aden. Before the operation, Saudi Arabia made several diplomatic efforts to restore the legitimate government in Yemen but to no avail. Saudi Arabia did not want to launch a war against Yemen, but it had no alternative except to use limited force with precise mission against strategic ammunition dumps such as arms depots having Scud long-range missiles and radar installations. Saudi leadership and the military top command had planned military operations taking into account the fact that there should be no civilian causalities. Houthis had tried to send misleading messages to the world about civilian casualties. But, their propaganda failed as the whole world knows that Saudis had always opted for peaceful means to resolve any conflict. Since the start of operation Decisive Storm, Saudi Arabia had allocated billions of dollars to help the Yemenis suffering due to Houthi occupation. Many logistical aids were sent by the Kingdom to Yemen in an effort to help the Yemenis. In addition to these efforts, the Saudi military command announced a truce so that the Yemenis suffering from the Houthis' irresponsible actions could be provided aid and also to give a chance to the Houthi rebels to cease hostilities and lay down arms. As time passed, the world saw the valor and loyalty of our soldiers who are defending the Saudi borders with courage, but with restraint to show the Yemenis that they are there to help them and not to destroy their country. As it turned out, this was indeed true. Saudi Arabia did not unleash all of its military arsenal, only a fraction of it. Saudi Arabia is a huge country and its other borders have to be protected. This action showed the world and especially the enemies the might of the Saudi military. Saudi soldiers on the front line did not only demonstrate valor but also showed the discipline of professional soldiers in the heat of the battle. As things are shaping up the coalition forces led by Saudi Arabia are showing strong advances on the ground with full control of Aden and clear air supremacy. This has left the Houthis with no option but to lay down their arms and think of the well-being of Yemen and its people. Saudi Arabia is a peace-loving country but if threatened by any aggressor, it has the capability to defend itself and foil any evil design against its sovereignty and integrity. Saudi soldiers in all the branches of the military — land force, air force, navy, air defense, National Guard and the Ministry of Interior — are very qualified and capable personnel who are trained to use the most powerful and advanced military hardware that can easily defeat any enemy. The Saudi military will continue to defend the Saudi borders and will protect it from any outside enemy with all the necessary means available. Now, it is up to the Houthis to come to their senses and realize that facing the Saudi soldier is a losing battle. Our armed forces with all its officers and soldiers are the best trained and best equipped in the region. And most important is that they have the highest degree of valor, loyalty and discipline. Written by Abdulateef Al-Mulhim. Valor and Loyalty of Saudi Soldiers reprinted with permission of Arab News and Abdulateef Al-Mulhim.